Nestled in the central Mediterranean, Ānanti Resort, Residences & Beach Club opens its first venture, in May 2019, in Montenegro, one of the few remaining undiscovered European destinations. Surrounded by breath-taking coastlines and Unesco protected sites, the new property, with its own private beach, is set to become a destination in itself for discerning, international travellers. Ānanti is the first hotel in Montenegro to be invited to become a member of The Leading Hotels of the World. The property, one of the very few international five-star resorts in Montenegro, includes two residential buildings, eight private villas (three to four bedrooms, between 300 sqm and 550 sqm) and 14 suites (51 sqm to 114 sqm). 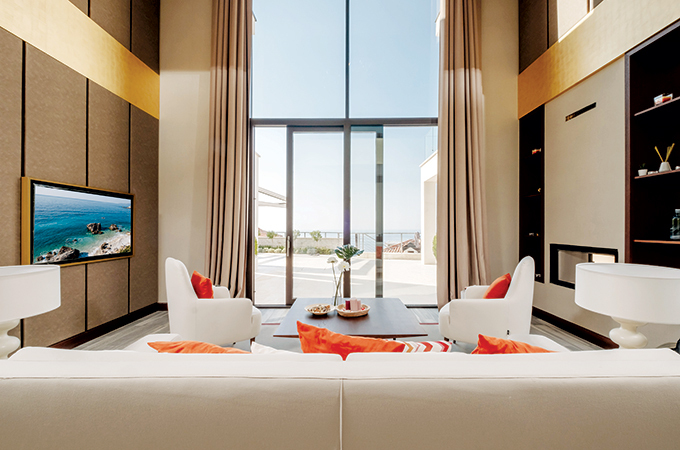 The independent villas feature a private pool and outdoor area with large terraces and an unobstructed sea view. Four of them also include a study, a private spa, a large gym, a jacuzzi overlooking the sea, a relaxation room, a dining terrace with kitchen and BBQ, a separate studio for guests or nannies, a private reception and an infinity pool. The 14 suites all face the sea and boast separate bedrooms with en-suite bathrooms, living rooms, dining rooms and outdoor terraces. Ānanti also includes a state of the art spa set over three floors to meet the needs of spa and wellbeing lovers and a main swimming pool situated on the top terrace where the sea provides a perfect backdrop. Ānanti Resort, hidden in the untouched inlet of Rezevici, offers and preserves privacy and intimacy for its guests who want to escape the glitz of Budva or Porto Montenegro and such like. This hidden spot is an oasis of tranquillity while also being just half an hour drive from the airports of Tivat and Podgorica. With its private beach and intimate spa, the resort creates a haven of serenity, surrounded by complete privacy in a wealth of untouched nature.